Not all round holes need round pegs. I am a Mom to 6 and Grandma to 5. I live an Observant Jewish lifestyle. I spend my days either teaching kids art or teaching parents and teachers how to teach their kids art through my blog. I love art and I feel that teaching kids art makes them better learners and have a better self esteem. 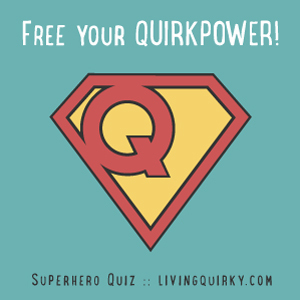 To me quirky means not fitting into what everyone else thinks and does. I decided I love art and kids and therefor I can learn to teach them art. Just because I don’t have an art background doesn’t mean I can’t teach it. I and my husband also dont have smartphones which in this day and age is quite quirky. I love seeing peoples reactions when I tell them we don’t have smartphones. My talent is that even at my advanced old age of 54 I am still learning and always willing to change and grow. I think I’m still looking for it. I decided to get involved in giving art classes to kids in my home and in a new school without having ANY art background. I left my career of high end portrait photography of 25 years and dont miss it at all. Your home: My most favorite recent discovery is this amazing roofer who fixed a leak on a flat roof I had for 23 years. no one else knew where it was coming from and he just took off the whole roof and found it. I’ve been euphoric. Your body: I went paleo about a year ago and its the longest Ive stayed on any diet for any length of time. I’ve discovered that its not as hard as it seems. Your belly: It doesn’t matter that much that its not so flat. Your soul: Well, I have a Jewish soul, which is called a Neshama and I’ve recently discovered that it always needs feeding as well. Music: I love some kinds of music but much to my kids amazement I can live without music. I love art more than I do music. Writing: It’s not easy to write, but once I get in the groove and find something I like…I enjoy writing with humor. Art: One can teach art to kids and to oneself even with no art background. I love telling people that see me doing art with kids that I am not an artist. They do a quick take usually. I can just forge ahead with my learning and teaching the kids as I learn without worrying about my credentials…cuz I have none. Just know that not all round holes need round pegs. If there is something you love to do but, feel you don’t know enough to do it…go ahead, research it and do it anyway. 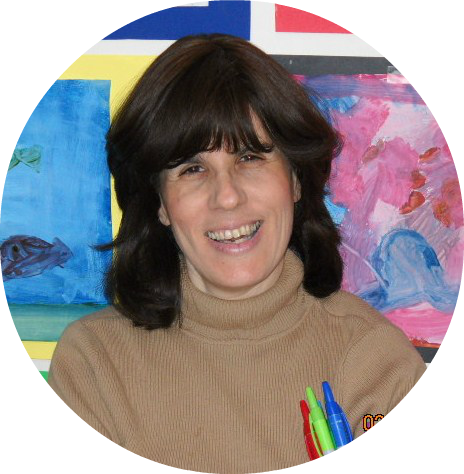 About: I have a Masters in Early Childhood Education and was a preschool teacher and director for a number of years. I then opened a high end portrait studio in my home for 25 years. I am now teaching art to kids and teaching parents and teachers how to teach kids art without having an art background.